We’ve just completed another rerun of the #42 Missouri Trader including a run of stainless in our GEC brand. This bunch features some very popular handle materials such as the micartas and smooth yellow bone. American Chestnut was also featured on the GEC’s, pictured above, which has some fantastic grain. The last of these shipped out on Monday Sept 15 and on a related note we also have more elk handled Vipers coming through to ship out this week. 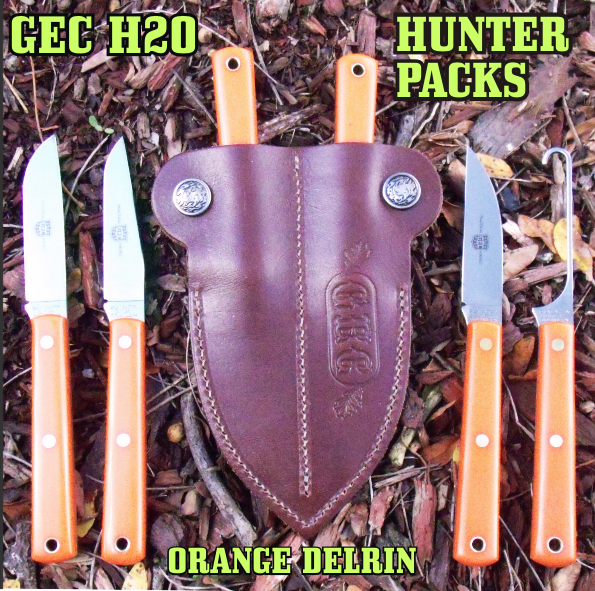 Next up are some hunting knife runs which includes our new Hunter Packs.